Dole & Dayka Design Donates 700 Bananas to Race for Kids. As a big believer of equality, Allison continues to use her passion as a means of expression and evoke change with the help of Native Son exclusivly at Bloomindales. 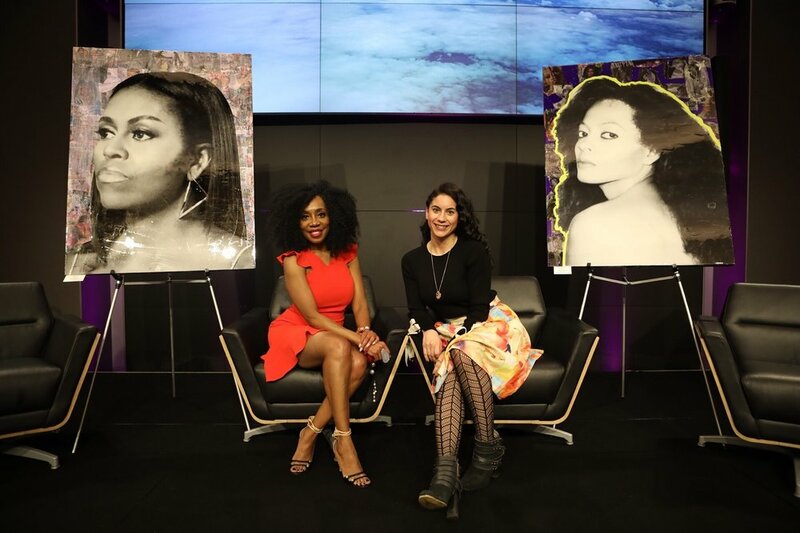 Allison Dayka Connects with Dee C Marshall at "WIN,ROCK, & RULE" 2018 at Prudential in Newark, NJ to uplift and empower women through her passion of art. The Female Collaborative and artist, Allison Dayka, have partnered to raise funds for battered and homeless women, as part of their "Art Gives Back Campaign". On January 11, 2018, a check was cut to Women Rising, an organization dedicated to leading women toward self sufficiency. As a result of the campaign, monies will be used to fund professional training programs for women, a major step towards independence.